Bowling Green’s steady improvement on the ice is helping the program off the ice. The Falcons are recruiting quality players, allowing them to increase their overall talent level and depth of talent. That’ll also help ensure BG will remain successful in the future. 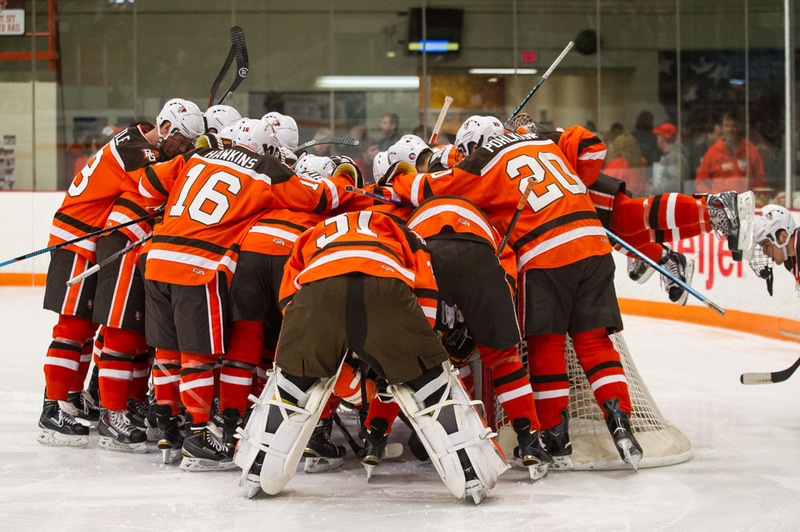 BG is 13-3-4 overall and 9-1-2 in the Western Collegiate Hockey Association going into this weekend’s showdown at Michigan Tech (15-6-1, 10-3-1). The Falcons and Tech are battling Minnesota State for the league championship. The Falcons are seventh and eighth in the two national polls this week, and Tech is 11th. Minnesota State is No. 1. “Since we’ve been here, the perception in the recruiting world has gotten more positive and more people are calling us back,” said Falcon coach Chris Bergeron, who is in his fifth season. The Falcons moved into the national top 10 in both polls this week — the latest on-ice accomplishment to help the team’s recruiting. BG is in the national polls this season for the first time since the 2007-08 season. “We’ve been talking about a plan for five years and the plan has shown itself,” Bergeron said. “We know it’s been showing itself internally every day, but externally, (recruits) look at standings and rankings, and those kinds of things. It’s nice to be able to see this plan for five years has been working. LUCKY 13: The last time BG won at least 13 of its first 20 games was during the 1994-95 season when they won 14 games. HEATING UP: BG’s line of Pierre-Luc Mercier, Matt Pohlkamp and Kevin Dufour is heating up again. The three have combined for five goals and eight assists in the last five games. They’re the team’s top three scorers, combining for 19 goals and 27 assists. TECH: Senior forward Tanner Kero leads his team with 25 points on nine goals and 16 assists. Also for the Huskies, junior forward Alex Petan has nine goals and 15 assists, and junior forward Malcolm Gould has nine goals and seven assists. Kero is the WCHA’s leading scorer, while Petan is second. Sophomore defenseman Shane Hanna has four goals and nine assists, and an on-ice rating of plus-16. Junior Jamie Phillips has started every game in goal, posting a 1.79 goals-against average and a .933 save percentage. WHY: Saturday’s game starts at 5:07 p.m., instead of the usual 7:07 p.m. The early start is due to overnight construction on the Portage Lake Lift Bridge, which connects Hough and Hancock, Mich. Hancock is on the Keweenaw Peninsula. Tech games draw a lot of fans from the Hancock area and the early start allows those fans to return home before the bridge closes. The bridge closing starts at 9 and last 10 hours. The bridge is not on BG’s route home. WHATS LEFT: The BG-Tech series is one of two remaining between the three teams contending for the WCHA championship. 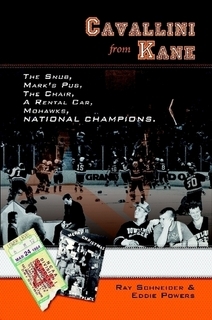 The other comes Feb. 27-28 when Tech visits top-ranked Minnesota State. Minnesota State leads the league with 27 points, followed by Tech with 21 and BG with 20. But BG has two games in hand on Tech and four on Minnesota State. FAMILIAR FACE: Tech coach Mel Pearson is in his fourth season after spending the previous 23 seasons as an assistant coach at Michigan. Like Bergeron has done at BG, Pearson has rebuilt the Tech program into one of the best in the WCHA. The Huskies won 43 games during his first three seasons, their best three-season stretch in 20 years.